Paradise usually doesn’t come cheap. But there are some little-known Hawaii deals that will let you see the Aloha State on a shoestring budget. Here are 10 travel tips. The Aloha spirit, ideal temperatures year round, great beaches, and incredible scenery… it’s no wonder Hawaii is known as a vacationer’s paradise. There’s only one problem: Paradise doesn’t come cheap. Hawaii is one of those destinations that so many people want to visit, but end up pushing to the back of the bucket list due to concerns about cost. If you’ve been wary about whether a trip to Hawaii will break the bank, or you’ve already started planning a trip, we can help. Search for flights on Cheapflights.com and read on for more tips on how to do Hawaii on a shoestring budget. With low-cost airline Southwest adding Hawaii routes to its service in the next year, more affordable options are on the horizon. 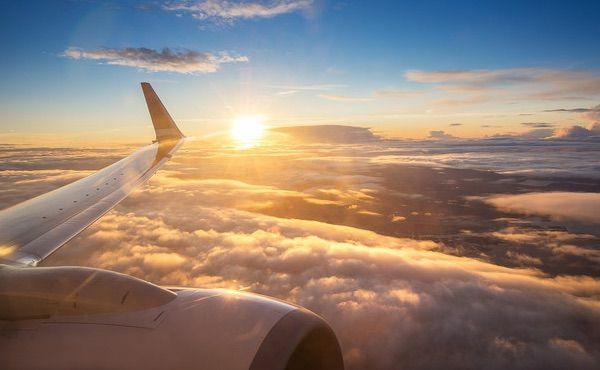 New routes mean more competitive prices, and, according to a study published earlier this year, markets where Southwest has added routes in recent years have seen fares falling by an average of 15%. In addition to these new routes, also be sure to consider multiple airports when booking your flight. While Honolulu may be your first choice, we’re seeing favorable prices for flights to Hilo and Kona on the Big Island. It pays to weigh your options, and there is plenty to do and see on the Big Island (black sand beaches, anyone?). The first step in saving money on a Hawaiian vacation is to time your trip right, which means avoiding peak season where hotel rooms and flights will be at their most expensive. Lookout for cheaper flights and discounted hotel rooms in January (last 2 weeks), February, May, September and October. More good news: February happens to be the best time of year to see humpback whales and September is Aloha Festivals time. You don’t have to spend a fortune in order to have a good meal in Hawaii. One thing to consider is searching for early bird specials, where, if you’re seated by 6 p.m. or earlier, many restaurants offer discounted meals. You can also save by opting to eat a restaurant meal at lunch rather than dinner when prices are typically lower. Then for dinner think about splitting some happy hour appetizers. 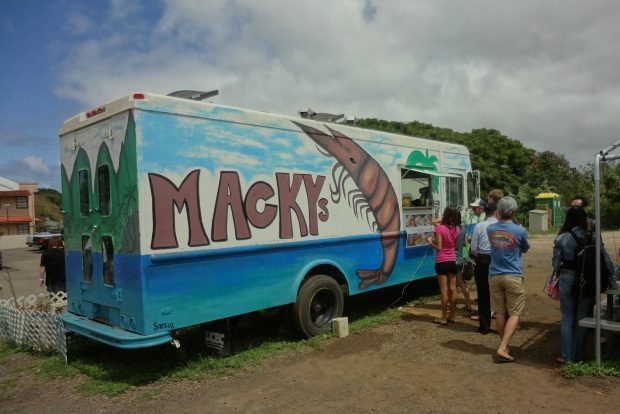 Alternatively, make dinner a food truck meal, of which there are many all over Hawaii. Speaking of food trucks, the Eat the Street food truck gathering on Honolulu is held on the last Friday of every month from 5 to 10 p.m. where you’ll find 40 food trucks serving dishes ranging from $5 to $10. Other tips for saving on food in Hawaii include steering clear of restaurants in tourist-heavy areas and instead opting to eat local. Ask around (in shops, at your hotel or hostel, etc.) for recommendations for local spots to try. Farmers markets also offer an easy way to fill up on fresh, local produce as well as take advantage of budget-friendly local foods. If you’re renting an apartment or condo with a kitchen, you can stock up on farmers market goodies to cook up at your leisure. For the most part, beaches are your best bet for enjoying Hawaii without dipping into your pocket, especially since Hawaii is a vacation destination known for its abundance of beautiful beaches. Some not to miss include Waikiki Beach on Oahu, Hapuna Beach (white sand) and Punalu’u Beach (black sand) on the Big Island, Makena Beach on Maui and Hanalei Bay Beach Park or Anini Beach Park on Kauai. Depending on the beach, snorkel equipment is often available to rent for a small fee. In addition to beaches, on Oahu in Waikiki, the Royal Hawaiian Centre offers free cultural programming for both visitors and locals. All classes are introductory and include things like hula dancing, lei making, ukulele, Hawaiian massage, Hawaiian quilting and more. In Kauai you can walk or bike the Koloa Heritage trail which takes you through 14 stops and monuments that highlight the area’s beauty, culture, natural history and archaeology. 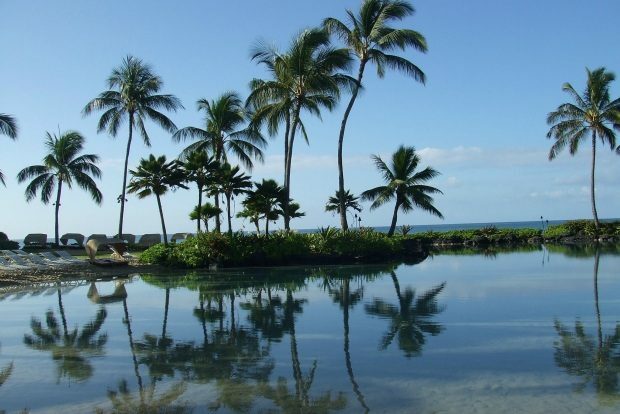 There are a few ways to keep costs down when it comes to where you rest your head in Hawaii. Hostels aren’t for everyone, but they can offer a huge opportunity for savings (and you’re never too old to benefit from this money-saving option). 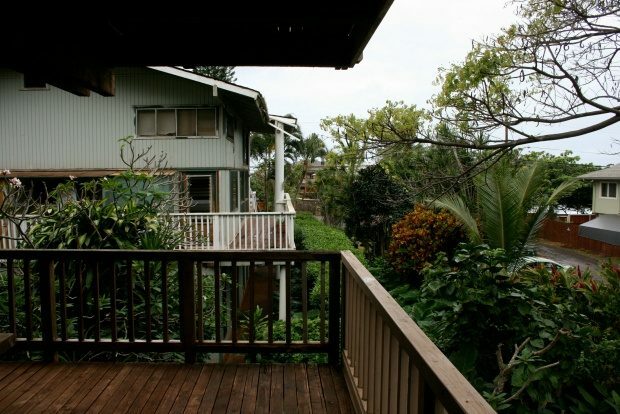 For example, the North Shore Hostel Maui has dorm beds for less than $40 if you don’t mind sharing a room. Private rooms (sharing a bathroom) are under $100. With the cost, you also get several perks like Wi-Fi, breakfast, a beach shuttle, parking and an airport shuttle. Waikiki Beachside Hostel puts you less than a block away from famous Waikiki Beach as well as close to shopping, nightlife and other activities. A dorm bed starts at around $34 and a semi-private room is around $81 (the room sleeps 2). A good option for families or friends traveling together is the private four-bed dorm (around $158) with kitchen, bathroom and private lanai. The hostel also offers free Wi-Fi and free coffee, tea and toast as well as a common area and an on-site café. If you’re on the Big Island, try Arnott’s Lodging and Adventures where you’ll be in close proximity to secluded beaches, hiking trails and waterfalls. There are a number of different options, from dormitory-style rooms to semi-private accommodations to private deluxe rooms. A private deluxe queen room will set you back under $100 and has a private bathroom, kitchenette, free coffee and Wi-Fi. Guests also get discounts on the many adventure tours offered through the hostel. Arnott’s also offers camping (if you have your own tent) for $16 a night. Depending on the length of your stay and how many people you’re traveling with, you might want to consider a condo or apartment rental to cut down on costs, especially if you’re sticking to one island. Not to mention, in most cases, the longer you stay at a condo, the lower the day rate goes. Condos will also have kitchens (great for saving money on food) as well as pull-out couches for sleeping extra people if need be. Hawaii’s many islands are diverse and each offer something different, so island hopping can be very tempting. When it comes to saving money, sticking to one island can help keep costs down. Since you won’t be flying between islands you won’t be spending extra on transportation. Check out our guide to choosing the best Hawaiian island for you to help decide where you want to spend your time. When considering opportunities to save, Honolulu on Oahu may be your best bet. It’s hands down the most developed and visited place on the islands, typically making it the cheapest and most accessible too. Although it’s a popular choice among travelers, there are still plenty of hidden gems on the island. That said, it pays to weigh your options. The Big Island is also a popular choice to consider, especially when flying into Hilo or Kona. 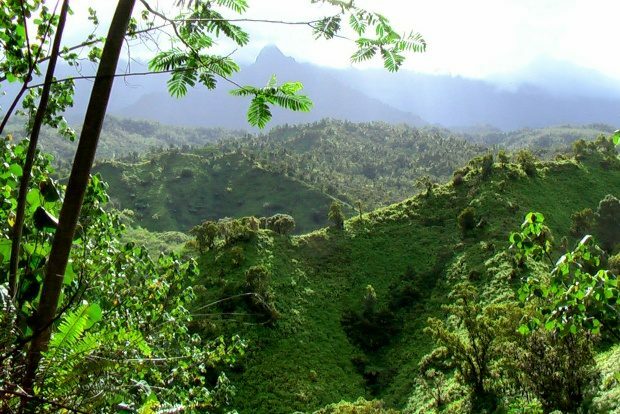 In addition to beaches, Hawaii is a destination well known for its hiking, and taking to the trails will only cost you admission into a national park if that’s where you’ll be hiking. That will run you around $10 per person or $20 per vehicle if you’re driving. Some of the best places to get your hike on in Hawaii include the Kalalau Trail in Kauai, Diamond Head on Oahu in Honolulu (this is a good one to tackle early to avoid heat and crowds), Hawaii Volcanoes National Park on the Big Island and Haleakala National Park on Maui. Booking tours and activities through a discount activity booker can help shave some money off your vacation budget. Tom Barefoot’s Tours has been in operation since 1975 and now offers over 1,500 discount tours on Oahu, Kauai, Maui and the Big Island. If you’re not going through an established company like Tom Barefoot’s, you might want to consider booking directly to avoid any hidden costs. Consider passing up the luau. Often far from authentic, these highly staged affairs are usually massively overpriced. Instead, pack a picnic of poke, lomi lomi, and poi (all readily available from local markets) and seek out a free evening hula show on the beach. It can often be helpful to pick up a coupon book as a way to save money on various sights, activities and attractions in Hawaii. Local newspapers can be a good place to start so pick one up when you arrive to see what’s available. Another option is to grab a copy of “This Week“magazine at the airport (it’s available on all the major islands) for a variety of discount coupons on everything from dining to attractions. There are some Hawaiian Islands that make it easy to get around via public transit, which can save you quite a bit of money. 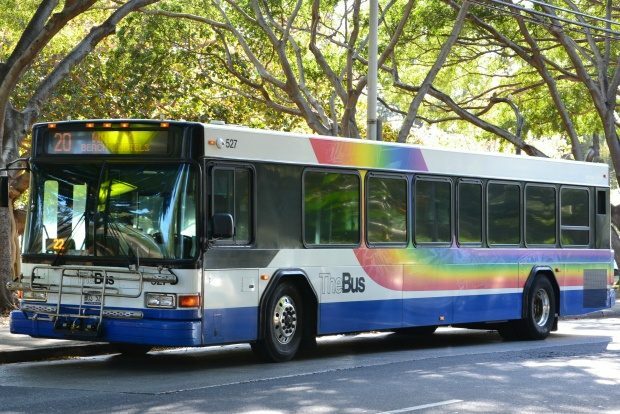 On Oahu for example, you can take advantage of TheBus, which serves the island via a large number of routes. A 1-day pass costs only $5 (a great deal considering a 1-way fare is $2.50). You can also give the Waikiki Trolley a try, which runs several different lines (at various costs) and offers the chance to hop on and hop off at multiple stops and attractions. The pink line is the cheapest at $2 a ride each way and takes riders to the popular Ala Monoa shopping center where you’ll find shops, dining and free events like hula shows. On Maui you can also take public transit, which runs 13 bus routes for $2 a ride or $4 for a daily pass. On the Big Island the bus will cost you $2 for a one-way ride, including bus service to Hawai’i Volcanos National Park (just note the $5 entrance fee is collected on the bus). What’s the first thing you would do in Hawaii? Share with us in the comments.